The Dressage Foundation's Renee Isler Dressage Support Fund has awarded an $800 grant to Jhesika Wells (WA) to receive training from Severo Jurado, a trainer and top rider for Andreas Helgstrand in Denmark. Jhesika, a successful young U.S. rider, is currently in Denmark working for Helgstrand. She will use the grant to take a series of intensive training lessons with Jurado, riding Helgstrand’s horse, Digital. 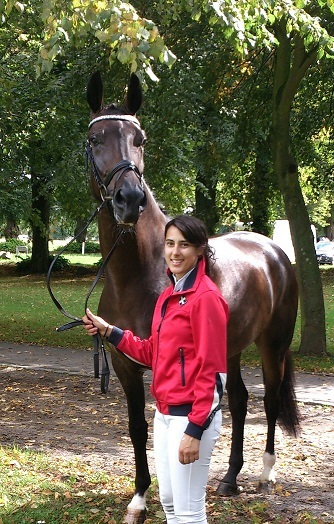 Jhesika plans to continue learning how to train a horse to the FEI levels and compete throughout Europe. Grants are available for young riders and professionals through the Renee Isler Dressage Support Fund. Since 2008, the Renee Isler Dressage Support Fund has provided nearly $40,000 in grants/scholarships to support the further education of the recipients. For more information about this Fund, go to www.dressagefoundation.org/Renee_Isler_Dressage_Support_Fund.htm or contact Jenny Johnson at (402)434-8585 or jenny@dressagefoundation.org.